The traditional Islamic boarding schools known as pesantren are crucial centres of Muslim learning and culture within Indonesia, but their cultural significance has been underexplored. This book is the first to explore understandings of gender and Islam in pesantren and Sufi orders in Indonesia. By considering these distinct but related Muslim gender cultures in Java, Lombok and Aceh, the book examines the broader function of pesantren as a force for both redefining existing modes of Muslim subjectivity and cultivating new ones. It demonstrates how, as Muslim women rise to positions of power and authority in this patriarchal domain, they challenge and negotiate "normative" Muslim patriarchy while establishing their own Muslim "authenticity." The book goes on to question the comparison of Indonesian Islam with the Arab Middle East, challenging the adoption of expatriate and diasporic Middle Eastern Muslim feminist discourses and secular western feminist analyses in Indonesian contexts. Based on extensive fieldwork, the book explores configurations of female leadership, power, feminisms and sexuality to reveal multiple Muslim selves in pesantren and Sufi orders, not only as centres of learning, but also as social spaces in which the interplay of gender, politics, status, power and piety shape the course of life. 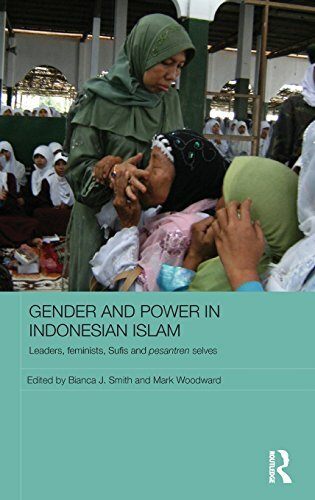 "This edited book is a very welcome addition to the growing corpus of work on gender in Islamic contemporary Indonesia. It is one of the first books on gender relations in pesantren (Islamic boarding schools) and many of the papers focus on the much neglected topic of women in pesantren."